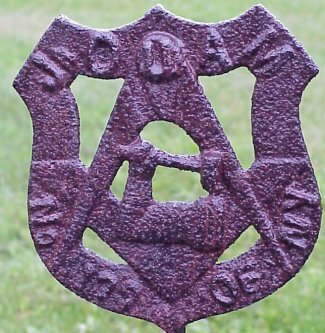 The Jr, OAUM marker is fairly frequently found in this part of New York State. 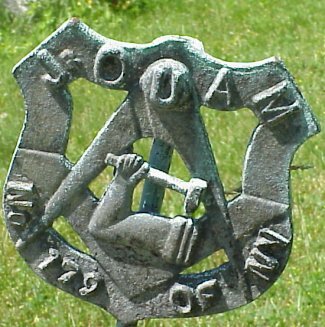 It was founded in Philadelphia in 1853 as a junior section of the Order of United American Mechanics. It became an independent secret society by 1885 with its fundamental purpose directed at keeping undesirable foreigners out of the country. It considered German, Irish and Roman Catholic persons as among those undesirables and it concentrated its rituals on religious "principals." 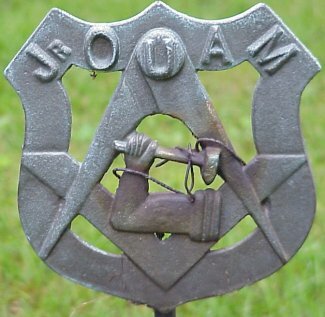 At the point of its 1885 separation from the OUAM, the Jr. in its name no longer signified age and Mechanics had nothing to do with members' occupations. Over time, JOUAM changed its ideology and requirements so that Jews, non-whites, and Roman Catholics could join, and women were also accepted as members. It is hard to understand why groups that were formerly targeted by this organization would want to join it. Over more time it became primarily a legal reserve, fraternal life insurance society. It also eventually absorbed its parent UAM. 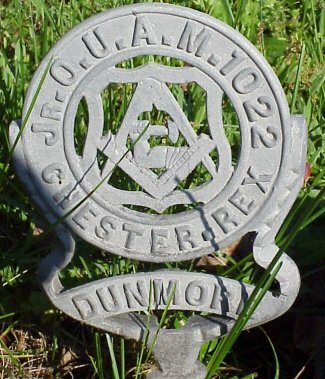 In 1900 the order had 200,000 members and that was reduced to 8,500 by 1975. Its ideology is the same as the Daughters of America which is a sister organization. See DOA for that listing. 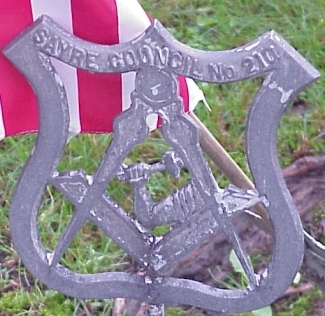 Some of the insignia on the JOUAM flagholder are reminiscent of the Masonic symbols, but it is not a related organization. The following note is from the Masonic webmaster/librarian in response to my question about the insignia. 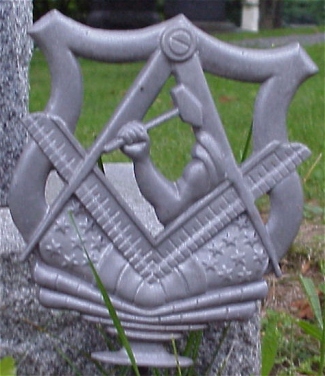 "borrowed" the square and compasses from Freemasonry, but added the arm and hammer to the center. 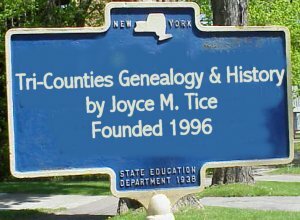 You may want to contact the New York Public Library, as I believe they have some documents from the Order.